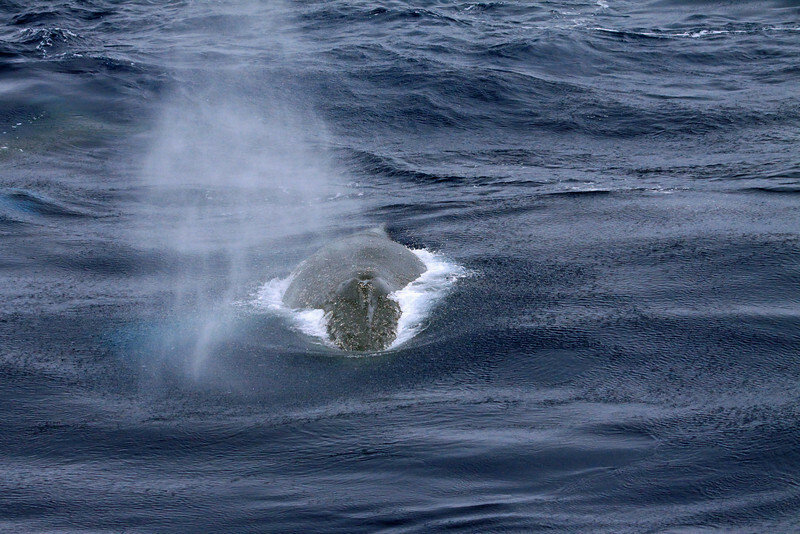 Approaching Humpback Whale - exhaling (spouting) - which isn’t water (technically, not at first). The air inside the whale's massive lungs is typically quite warm from the mammals body heat. When they exhale (which is quick and forceful), they blow into the typically cooler temperature ambient air, thus condensing immediately, creating now a spout of water. And minimal salt water around the exterior of the blowholes. These vertical air spouts can reach to 13 ft. (4 m) in height.